It is a popular advice today that you should follow your passion, but one question people who have swallowed this advice fail to ask is “what if my passion cannot put food on my table?” It is not everything you are passionate about that translates into a business opportunity. What you are passionate about may be a business idea of course; it is your responsibility to find out if it is also a business opportunity. One important thing you should know is that a business idea, no matter how novel, cannot be a business opportunity if customers cannot see it’s added value, and therefore unwilling to pay for it. The essence of a business is to provide solution to given problem, so if your business is not solving any problem, or if it is solving a problem no one care about, there is no way your business can grow. I am not saying following your passion is bad, but you must find out how you can make it put food on your table. Branding is a way of creating a unique identity for you business. There are so many people who are probably doing what you are doing, but the question is “how do you want to make your business to stand out from the crowd?” That is where branding comes in. Many shops and business centers do not have a banner or sign board showing the name of the business and the service they offer. I guess they left it for their potential customers to use their imaginations to find out what they sell or do. That is one of the biggest mistakes I have seen startup businesses make. No matter how small your startup business is, give it a name, and create a unique brand for it. Poor branding will keep your startup business in obscurity, which will result in poor sales. Poor sales may consequently frustrate you to quit the business. 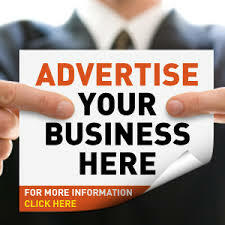 When launching any business, you cannot expect high sales without any form of marketing. This is because marketing is a critical success factor in business. It is your responsibility to ensure that people who need your product or services are aware of the existence of your startup business, after all. Business marketing starts with great branding, and adopting others marketing strategies such as distributing hand bills to potential customers, advertising on social media, radio, television and through public speaking. Once your startup business is launched, consistency in marketing is what it needs to grow. If you are asked how often you see the advert of popular brands like Milo, Indomie, Pepsi, Etisalat, Mtn, Glo, Peak milk and others, I guess your answer would be “often.” You hear and watch their advert every time you switch on your radio and television. You see their billboard everywhere. One surprising thing is that despite the fact that these brands are already known, they didn’t relent on their effort in marketing. I am not saying you should go on Radio or TV, or create magnificent billboards in major cities, do if you have the cash and if your startup business demands such level of publicity. But at least device strategies to create awareness for your startup business no matter how small it is. Don’t forget, a pepper seller is also a CEO. The truth is that if you don’t have that level of resolution, you will likely quit before time your business would experience a boom. You must keep doing the right thing in your business until you succeed. If you position your startup business in a place where people cannot easily see or access it, then you have set yourself up failure. My advice is, try as much as possible to makes sure your startup business venue is in a strategic place. As a startup business owner, having character means being honest, giving value that is proportional or more than what your customer /client pay for. It means not cutting corners and not cheating your customers. It means running your business with integrity. My approach in business is this, I render my service to customer with the best of my ability, honesty and sincerity in such a way that if the customer curses me, his or her curse will fall back on him/her. Manipulating your customers may give you immediate gain, but you will ever live to regret the consequence. I know if you are observant enough, you must have seen practical examples of how lack of character can destroy a startup business. See you at the Top!